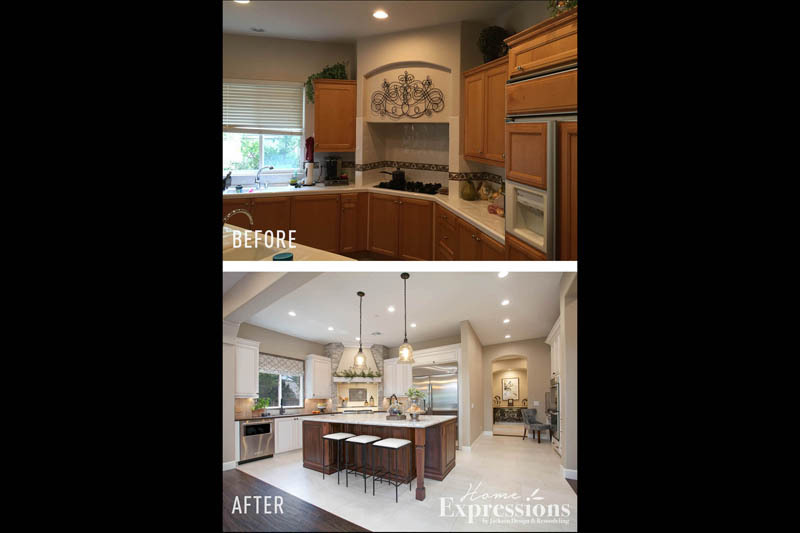 A couple with three children needed a dramatic update to their original kitchen to better reflect their styles. 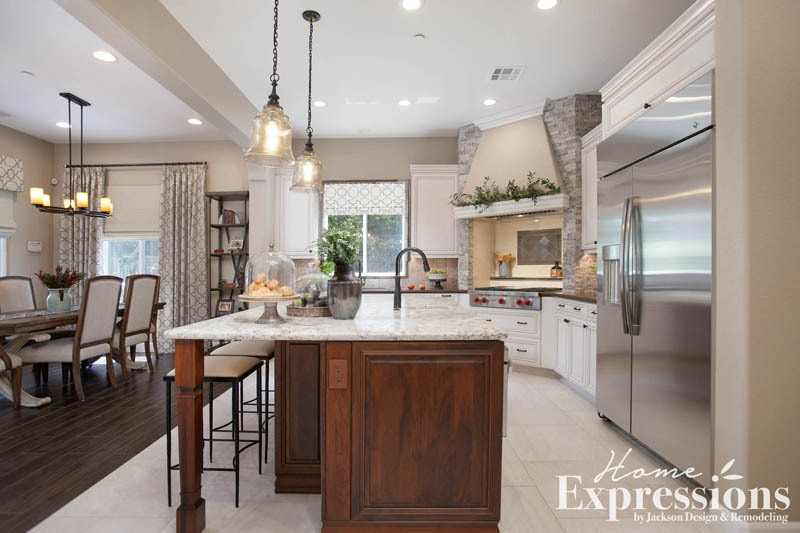 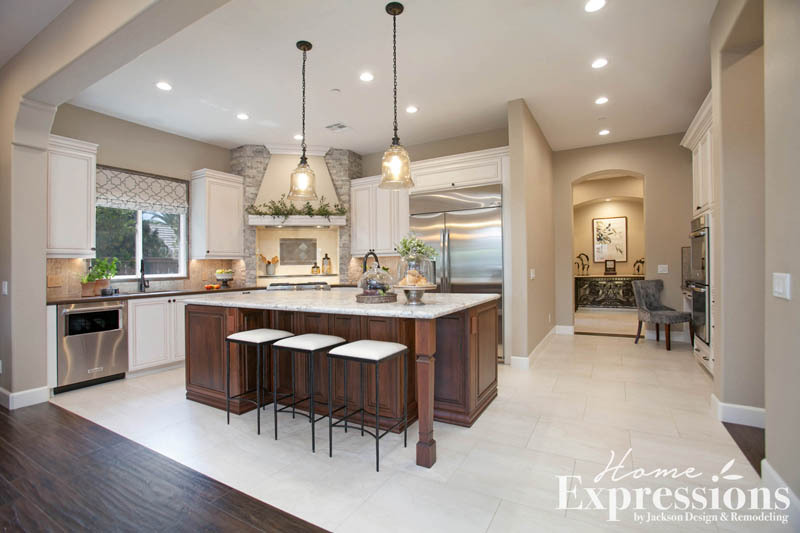 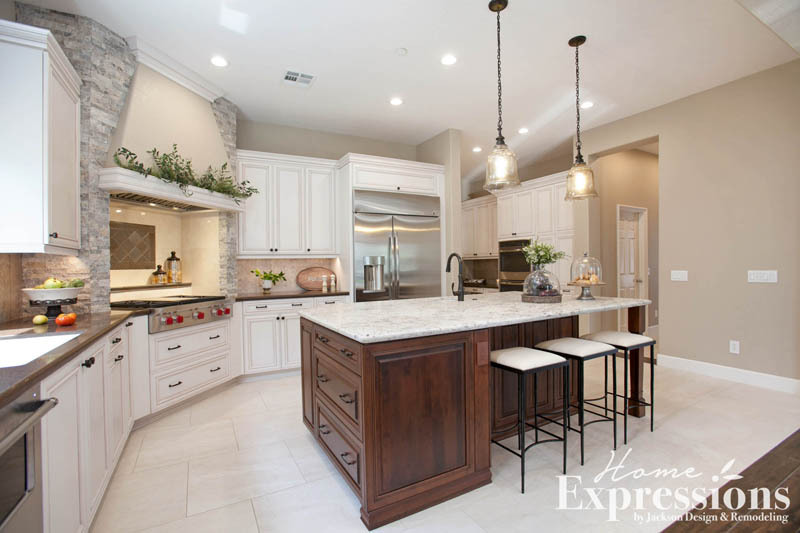 They were attracted to the idea of Tuscan design and desired a traditional space to cook family meals and welcome friends and family. 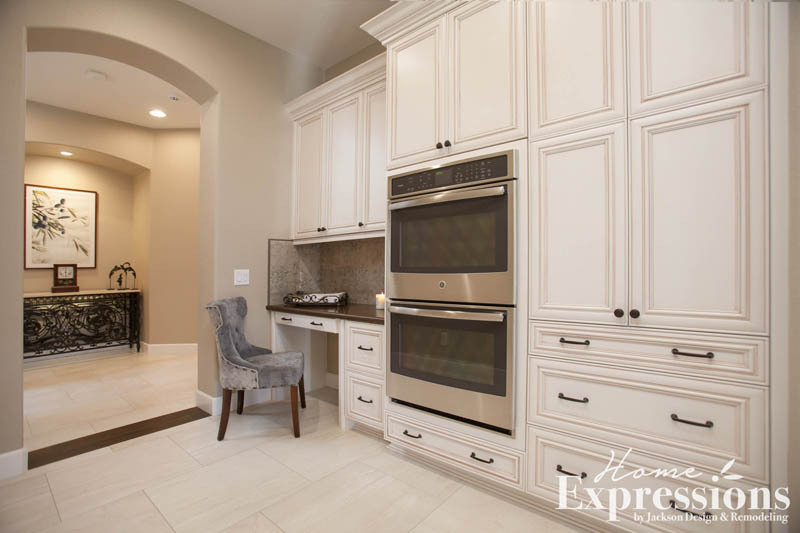 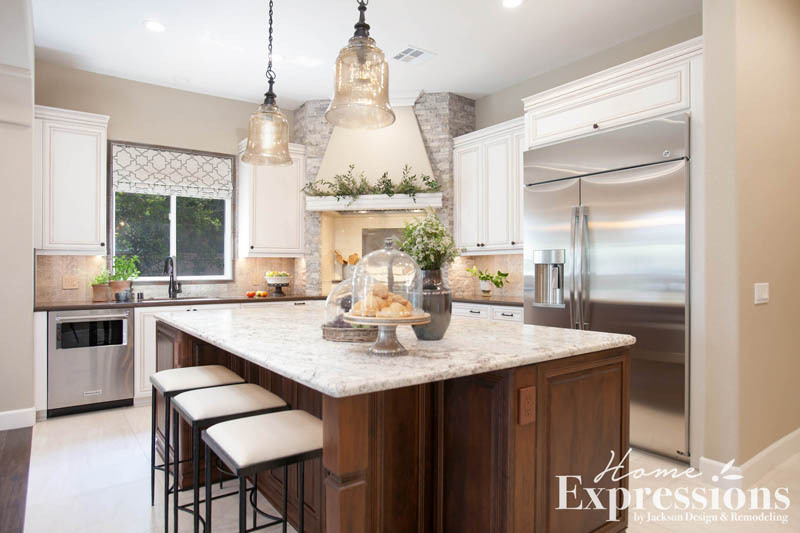 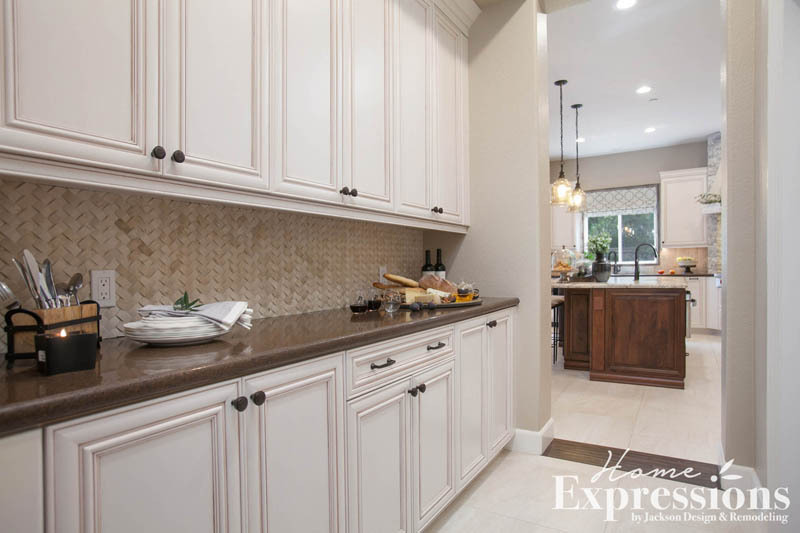 White cabinetry with a brown glaze lightens the kitchen dramatically while staying loyal to a traditional point of view. 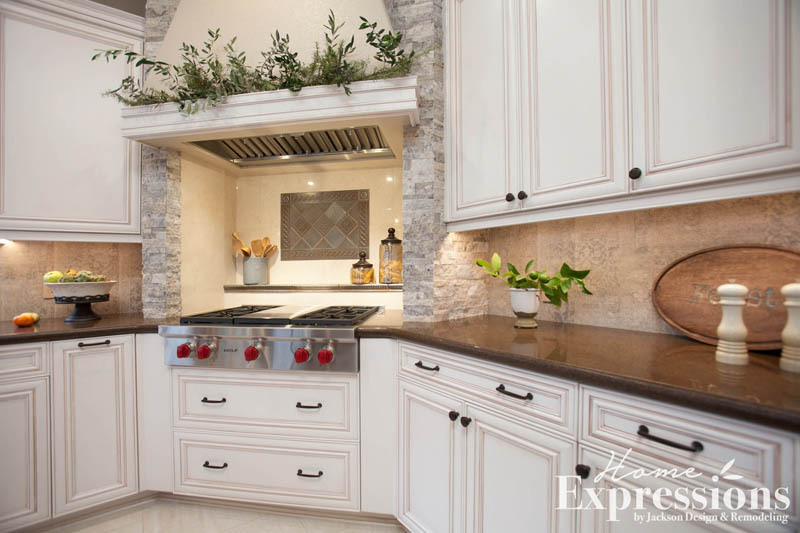 Warm elements of color in the tile and countertops balance the space visually while the stone surround of the cooktop evokes the Old Country.